The 60th anniversary to the first 12-hour sports car race to be run at the converted airstrip evolving into Sebring International Raceway, the 2012 edition of the prestigious March race prepares to host five classes of premium race vehicles for an event starting late Saturday morning. With 63 cars set to compete at the Mobil 1 Twelve Hours of Sebring Fueled by Fresh from Florida race, this historic event is the season opener for the 2012 American Le Mans Series and will also serve as the launch pad for the all-new FIA World Endurance Championship. Qualifying on the 3.74-mile circuit Friday provided the first meaningful measurements for the caliber of the teams and drivers. Coming as little surprise to spectators, Audi Sport Team Joest mounted a dominating performance in the time trial track sessions with the 2012 R18 RDI prototype sports cars. Convincingly, the three-car Audi R18 TDI vehicles claimed the overall top-three for the Mobil 1 Twelve Hours of Sebring Fueled by Fresh from Florida. Starting in the order of their car numbers, the Audi Sport Team Joest organization #1 car took pole at a time of 1 minute, 45.820 seconds. The #1 Audi R18 TDI is set to be driven by the 2011 24 Hour Le Mans winning combination of Marcel Fässler, André Lotterer and Benoît Tréluyer. 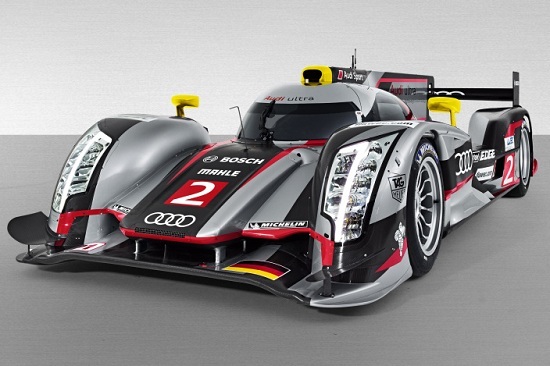 The #2 Audi R18 TDI was 4/10th of a second slower than the pole-winning #1 car. The #3 car for the Audi Sport Team Joest effort was 1.12 seconds off the pace of the lead car. The fastest non-Audi runner overall in Sebring sports car qualifying was the #6 Muscle Milk Racing team. Fielding a Honda Racing Development-derived ARX-03a sports car, the #6 Muscle Milk Racing effort was 6/10th of a second slower than the 3rd fastest Audi R18 TDI. With a total of three participants campaigning the HRD ARX-03a vehicle, the prototype matches Audi as well as the Lola in total entrants for the 2012 Mobil 1 Twelve Hours of Sebring Fueled by Fresh from Florida. In other prototype categories, the 12-car strong P2 class at the Sebring International Raceway will start with the Morgan making a fantastic return to the sports car track. The Oak Racing backed #24 Morgan powered by a Judd V8 engine posted a 1 minute, 50.467 second time to lead the P2 category participants to green for Saturday's 12-hour race. In the spec American Le Mans Series LMPC category, the #9 RSR Racing car (piloted by open wheel racing veteran Bruno Junqueira in qualifying) outran the Core Autosport #06 to take class honours in Friday's time trials. Almost 13 seconds slower than the Audi R18 TDI cars, the GT class at Sebring once again features a tight battle between production-based sports cars. 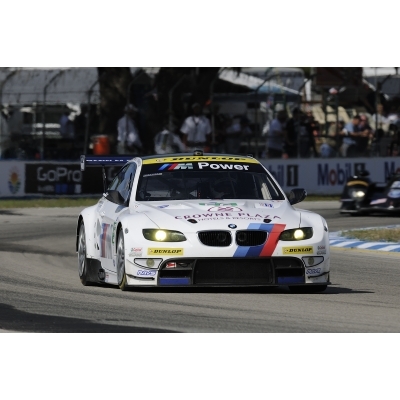 The likes of BMW, Ferrari, Porsche, Aston Martin and Chevrolet are set to become one of the most hotly-contested competitions at not only 2012 Mobil 1 Twelve Hours of Sebring but throughout the American Le Mans Series and World Endurance Championship season. Shooting first blood in Sebring qualifying, the Ferrari F458 Italia race cars sailed around the 3.74-mile course fastest among GT competitors. The #51 AF Corse Ferrari F458 Italia (featuring the pairing of Giancarlo Fischella, Gimmi Bruni and Toni Vilander) took the pole with a 1 minute, 58.427 second lap time ahead of the Luxury Racing team. The Corvette Racing pair of C6R ZR1 race cars inserted into the second row of the GT class with the #03 ahead of the #4 car only 0.66 seconds separates the top-5 cars in the GT category in Sebring qualifying serving as a strong precursor to a wide-open bout for the class victory on Saturday. Also racing at sub-categories of the GT class at the Sebring International Raceway will be the GTE-AM cars and the GT Challenge Porsche 911 GT3 Cup vehicles. The 60th running of the 2012 Mobil 1 Twelve Hours of Sebring Fueled by Fresh from Florida will start at 10:30 AM Eastern time. Weather for the 2012 sports car race is forecasted to have sun with clouds through the daytime as temperatures will reside in the 20 degree Celsius range almost throughout the event.